Disclaimer: I have not watched this video. Azov Battalion is working with the US military and undergoing training starting this month. Ukrainian fighters from a nationalist voluntary regiment “Azov” sent a video of an execution of a Novorossia fighter to militia fighters and hackers from “Cyberberkut”. “According to the authors of this video, the footage was filmed near the village of Shirokino, and “all the separatists, traitors of Ukraine and militia fighters will be treated the same“, – “Cyberberkut” quoted the message from “Azov”. The footage shows how several punishers tied their victim to the cross, stuck the cross into the ground, and set fire to the wooden structure. “This will not add fear neither to us nor the Armed Forces of Novorossia: we have already experienced too much in this life! But after this hardly anyone will capture “Azov” members alive” – responded the hackers to the atrocities of the security forces. The authenticity of the video is not yet reliably confirmed. No official statements were made by the authorities of DPR. “Azov” is one of the most infamous units of the Ukrainian National Guard, was formed as a battalion, in the fall expanded to a regiment. 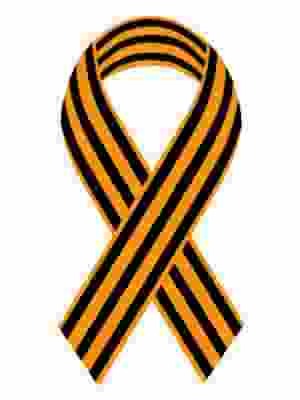 The unit consists of staunch nationalists – Ukrainian and mercenaries from other countries. The regiment uses the symbols of SS of Nazi Germany on its flag. Atrocities, harassment and war crimes of “Azov” fighters against the civilian population were repeatedly reported. Based in Mariupol. CyberBerkut is a group of Ukrainian hackers set to fight neo-fascism, nationalism and power abuse in Ukraine. It has gained access to the files on the mobile device of the Green Group PMC (private military company) official who has recently visited Kiev as a member of American military delegation. It made the materials public on February 27 using its website (http://cyber-berkut.org/). Green Group is a US private military company founded in 2007 with headquarters in Edmond, Oklahoma. It has a European branch in Tbilisi. The number of employees differs from 50 to 200, though the exact number is not known as quite often the personnel hired for a concrete mission are not put on pay roll. The company is licensed with the US Department of State and the State Department. CyberBerkut posted the documents to open access along with the Green Group advertisement. Two letters of Gregg Holmes, the CEO of the PMC, to the Ukrainian Armed Forces’ Chief of Staff Muzhenko became public domain. One of them written in Ukrainian and dated February 15, 2015 (the Minsk agreement was signed on February 12) is worth to be cited. It goes like this: «As you know, the United States is in contact with NATO partners on lethal arms supplies to Ukraine. There has been no mutual understanding reached so far. As I am informed by my friends in State Department and the Pentagon, the United States is going to increase the pressure on European allies. During recent consultations with the Ministry of Foreign Affairs of France the US State Department team insisted on expediting the procedures for delivering anti-tank systems and heavy weapons to Ukrainian military. The United States believes that lethal arms will stop the advance of separatists inside Ukraine and prevent them from approaching the administrative border of the Luhansk and Donetsk regions. According to the US government estimates, the use of up-to-date weapons by Ukrainian military will inevitably inflict heavy losses upon Russian volunteers fighting in the terrorists ranks. It will be impossible to hide the fact of heavy casualties. In its turn, this information will cause tension in Russia and spur the emergence of anti-war movement to organize mass protests against the current Russian government. No matter the French Ministry of Foreign Affairs always supports the White house initiatives, the Government of France is hardly happy with our proposals. President Francois Hollande is not ready to drastically change his Ukraine policy but the US State Department came forward with a bright idea. The weapons will be delivered to “volunteers” fighting for Ukraine or the operatives of Western private military companies with great experience of using the weapons and equipment. Green Group is ready at any time to provide the Ukrainian military with volunteers in sufficient numbers. The US government believes that France could at least make a financial contribution with money transferred from the French Foreign Ministry to State Department accounts to hide the real purpose it is allocated for». It is known that the Ukraine-U.S. Joint Commission is responsible for arms supplies. A document of the US European Command (Eucom) contains a proposal to deliver lethal arms to Ukraine allocating $75 million for the purpose. The package includes Javelin anti-armor missiles, different kinds of light weapons, miscellaneous equipment and individual protection kits. $2 million are to be spent on some Maidan network. Another Eucom document mentions ammunition, including grenades. $45 million is to be allocated for the training of Ukraine’s military, first of all special forces. The arms will be transferred within the framework of Joint Multinational Training Group – Ukraine program in accordance with the Ukraine-U.S. Joint Commission. Perhaps, the purpose of the Green Group’s mission was to get acquainted with the Ukraine’s military requirements and observe the situation on spot. The documents show that the US assessments were a bit different from what Ukraine requested. The US offers to make it a much bigger deal. For instance, Green Group proposes to increase the number of robotic systems and include 9 thousand optical devices. Communication systems top the list while Ukrainians give priority to drones. According to the documents, Kiev started the talks on weapons supplies no later than mid-2014. The Ukraine-U.S. Joint Commission (its next session is slated for May or June 2015) serves as a cover. The geography is the whole Ukraine. The US does not trust Ukrainians with making assessments of their needs. This mission will be carried out by private contractors. They will also take part in combat actions and work as consultants and trainers. Green Group is not the only private military company hired by the Pentagon and the State Department to provide for arms supplies to Ukraine. According to media, at least 3-4 thousand people employed by defense contractors operate in Ukraine. The decision is not taken at the political level but it does not prevent the organizers of military supplies from doing their job. Washington plans to use Western private military contractors to deliver weapons to Ukraine. Once arms are delivered, these companies will send their “volunteers” who will come to make good use of these weapons. The United States plans to use private military contractors to deliver arms to Kiev, Ukrainian hacker group CyberBerkut reports. “We, CyberBerkut, got access to files stored on the electronic device that belonged to an employee of the private military contractor “Green Group”, who recently visited Kiev with a US military delegation. The documents reveal that the United States is still mulling over the idea of supplying lethal weapons to Kiev, but first, it would like to gain the support of its European allies.” – said the statement published on CyberBerkut website.Washington plans to use Western private military contractors to deliver weapons to Ukraine. These companies, of course, would deliver arms “voluntarily”, out of kindness. Moreover, once weapons are delivered to Ukraine, these companies will send volunteers to come and fight against Donbas forces in Eastern Ukraine, CyberBerkut says. CyberBerkut is a group of anonymous hackers who oppose the current government in Kiev. The group has already done a few high-profile hacks that changed the course of conversation about the situation in Ukraine. Victoria Nuland’s famous words “F**k the EU!” and her secret plot to assemble a post-coup government in Kiev became public after CyberBerkut leaked the recording. The group also leaked information about snipers at the Maidan Square, shooting indiscriminately at both police and protesters last year. Last month, CyberBerkut obtained classified information that exposed massive casualties and terrible morale among Kiev forces attacking eastern Ukraine. The United States says it is only supplying non-lethal aid to Ukraine. That’s apparently not true. And that’s not all. On Tuesday, the Ukrainian hacker group Cyberberkut (cyber-berkut.org/en/) made public some documents signed by US President Barack Obama and State Secretary John Kerry about the further deliveries of the lethal weapons to the Ukrainian Armed Forces. According to the hackers, they found the data stored on the mobile device of an American diplomat accompanying US Vice-President Joe Biden during his visit to Kyiv. Official mass media preferred to avoid this message, however Rear Admiral John Kirby, the Pentagon press secretary, as well as the press secretary of the US Embassy in Moscow, were compelled to comment on the leaked information about military deliveries to Ukraine. According to their statements, Washington provides Kyiv exclusively with non-lethal military aid. Though they didn’t disprove the fact that the State Department employee’s mobile device had been hacked. At the same time, the materials spread by Cyberberkut testify that Washington is ready to deliver rifles, missiles, anti aircraft armament and armor equipment to Kyiv. Besides, hackers claim that the Ukrainian army has been financed from the US Department of Defense budget for a long time. According to hackers, the amounts of financing are ‘amazing’ and make impression that the Ukrainian Armed Forces are ‘a branch of the American Army’. What is more surprising, the US transfers hundreds of thousand dollars to Ukrainian officers’ personal accounts in circumvention of all established rules, principles and common sense. It’s not excluded that the Ukrainian military could freely spend the American aid for personal purposes. The Ukrainian Armed Forces are actually in the extremely deplorable state. In August/September 2014, the Ukrainian ministry asked the Pentagon to pay meals and incidental expenses of the Ukrainian officers so that they could take part in the Rapid Trident joint maneuvers pending in Ukraine. In fact, Kyiv might not be pressed for money so much. The Ukrainians may just have wanted to gain from the United States as much as possible while there was an opportunity like that. Among the most interesting documents there’s also the Ukrainian Defense Ministry ‘request’ for the American weapons supply. Kyiv asks to deliver 400 sniper rifles, 2000 assault rifles, 720 shoulder grenade launchers, nearly 200 mortars and more than 70 000 mortar shells, 420 Javelin anti-tank missiles and even 150 Stingers. Considering that the rebels have no aircraft, there is a fair question, what will the Ukrainian military do with anti-aircraft weapons? Unless they’re a waiting for another Malaysian Boeing. The request for diving equipment for an underwater warfare team of 150 personnel also attracts special attention. The requests like that go outside the framework of peaceful and defensive measures. It turns out that all Ukrainian peaceful initiatives and statements to cease fire against rebels remain just a declaration. It’s worth mentioning here that the UN Charter and international law forbid deliveries of lethal arms to the regions with an unstable political and military situation and urge all parties of the conflict to refrain from violence. Now the Cyberberkut hackers’ leakages exclude the opportunity that the lethal weapons would be delivered to Ukraine in secret. It’s interesting how the US partners in Europe can react to this incident. It’s supposed to be honest to respect the civilized diplomatic norms and inform NATO colleagues that the US is preparing lethal aid supplies to the Ukrainian Armed Forces. Information warfare in Ukraine goes on, but it’s the first time when the United States’ officials were involved. It seems that visit will have serious consequences for the members of Joe Biden’s delegation thanks to Ukrainian followers of Julian Assange and his Wikileaks. The Administration is also sure to draw conclusions on reliability of personal devices of the employees. What is much astonishing, almost one million dollars is assigned for opening “linguistic laboratories” and purchasing text-books for them. Undoubtedly, it is what Ukrainian Armed Forces need today. They all need English to understand Washington’s orders more quickly. and the need for combat divers. “For some reason, special attention is paid to Ukraine’s Naval Forces. On one hand it’s clear that there are no Naval Forces in Ukraine. On the other hand it points at aggressive plans of the USA and Kiev to prepare subversive operations not only in the South-East, but in Crimea. It’s hard to find another explanation. Otherwise, for what purpose does Ukraine need 150 combat divers?